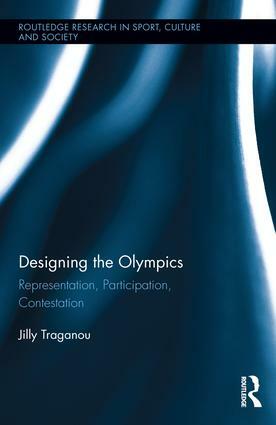 Jilly Traganou, ADHT Associate Professor of Spatial Design Studies, is releasing her new book Designing the Olympics: Representation, Participation, Contestation. Professor Traganou, who has been granted a Fulbright fellowship in Brazil, will be presenting on her new book in Rio next week at the Open Spaces Systems in Rio De Janeiro-SEL/RJ/2016 lecture series. Designing the Olympics claims that the Olympic Games provide opportunities to reflect on the relationship between design, national identity, and citizenship. The “Olympic design milieu” fans out from the construction of the Olympic city and the creation of emblems, mascots, and ceremonies, to the consumption, interpretation, and appropriation of Olympic artifacts from their conception to their afterlife. Besides products that try to achieve consensus and induce civic pride, the “Olympic design milieu” also includes processes that oppose the Olympics and their enforcement. Stay tuned for further news on Professor Traganou’s summer activities in Brazil.